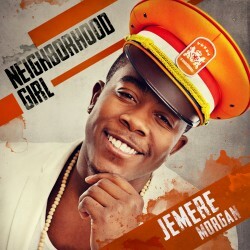 A-Team Music/Dada Son presents Jemere's (son of Gramps Morgan and grandson of Denroy Morgan) first single "Neighborhood Girl" from his forthcoming debut EP entitled @IAMJEMERE produced by Stanley "Rellee" Hayden of A-Team Music. "Neighborhood Girl," is a fresh take on John Holt's 1982 single "Sweetie Come Brush Me." The single is a tribute to the circa 1980s dancehall vibe with a refreshing twist. The old school feel good reggae vibe showcases Jemere's smooth melodic voice while giving listeners a preview of what's to come from this talented rising star.